Thank you for your “open letter” of November 3 and your personal letter of November 4. 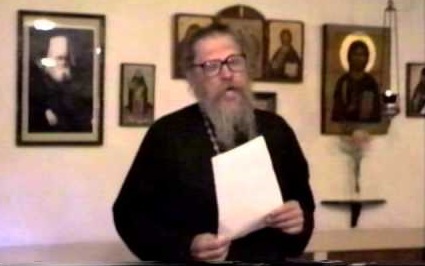 I assure you that I found no reason for offense in either of them, and for me they are only the occasion for a friendly discussion of the teaching (at least one aspect of it) and the importance of two great hierarchs and theologians of 19th-century Russia—Theophan the Recluse and Ignatius Brianchaninov. My comment on page 3 of The Soul After Death that Bishop Theophan was perhaps the “only rival” to Bishop Ignatius as a defender of Orthodoxy against modern errors was not meant to imply in any way that Bishop Theophan was inferior as a theologian or a patristic scholar; I merely had Bishop Ignatius as the center of my attention there, and Bishop Theophan thereby looks a little “smaller” in that context, which of course he was not in reality. 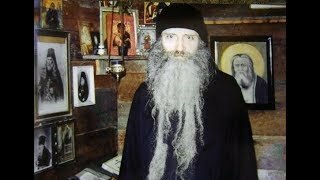 In saying, in the same place, that Bishop Theophans defense of Orthodoxy was on a less “sophisticated” level than Bishop Ignatius’, I was also not implying any inferiority to Bishop Theophan, but only expressing what I believe to be the case: that Bishop Ignatius in general paid more attention to Western views and to combatting them in detail, whereas Bishop Theophan emphasizes more single-mindedly the handing down of the Orthodox tradition and only incidentally touched on the Western errors regarding it. I had in mind, for example, the contrast between Bishop Ignatius’ long defense and explanation of the toll-houses (which I cite on pp. 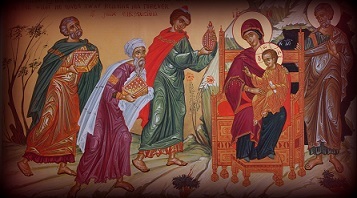 73ff of The Soul After Death), and Bishop Theophans laconic statement (the only one I know of where he criticized the Western skepticism with regard to this teaching) that “no matter how absurd the idea of the toll-houses may seem to our ‘wise men,’ they will not escape passing through them” (Psalm 118, p. 289). By speaking of the “sophisticated” level on which Bishop Ignatius wrote, I only meant to say that he was more concerned than Bishop Theophan to argue with the Western views on their own ground, while Bishop Theophan seemed more inclined to dismiss the Western views without much discussion. But perhaps this was not true in all cases. 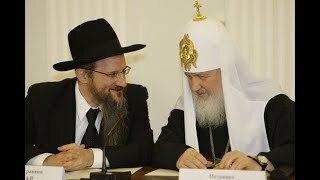 Thus, I think that on the relative greatness of these two hierarchs there is no real disagreement between us. 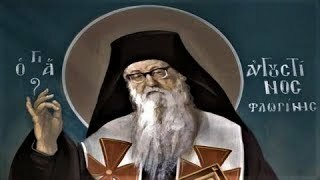 I certainly acknowledge Bishop Theophans greatness as a theologian and a patristic scholar, and my only reason for emphasizing Bishop Ignatius in The Soul After Death is that it was he and not Bishop Theophan who spoke in such detail against the Western errors with regard to the Orthodox teaching on life after death. I very much welcome your research on Bishop Theophan, whom I greatly respect and admire, and who unfortunately is not as appreciated as he should be today owing to the inclination of some people nowadays to view him rather naively as “scholastic” just because he translated some Western books or perhaps used some Western theological phrases. 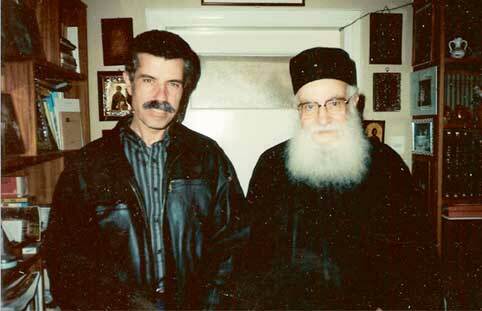 Regarding the specific point of Bishop Theophans disagreement with Bishop Ignatius’ teaching: You are correct in the supposition expressed in your private letter to me that when I wrote of this disagreement on page 36 of The Soul After Death I had not read Bishop Theophans booklet Soul and Angel, which criticizes Bishop Ignatius’ teaching, and that my comments there were indeed based solely on Fr. Florovsky’s small reference to it. Having since been able to obtain and read Bishop Theophans booklet, I see that my comments there are not precise. You are, of course, correct that there was no “dispute” between the two, but only Bishop Theophans disagreement, expressed after the death of Bishop Ignatius. The point of disagreement was also not expressed precisely (as I will discuss below). The main question you raise, however, is whether indeed this disagreement was a “minor” one, as I have stated; this question I would like to address here briefly. 2. I seriously question whether Bishop Ignatius actually taught the teaching which Bishop Theophan ascribes to him; certainly, at any rate, he did not place on it the emphasis or draw the consequences from it which Bishop Theophan was most concerned to oppose. Thus, in the quotation from Bishop Theophan above, where he states that “when it is said that an angel is a body, one must deny in it rational freedom and consciousness”—it is clear that Bishop Theophan is only drawing the logical conclusion from what he thinks Bishop Ignatius believes, but nowhere can he find a quotation from Bishop Ignatius himself that he actually believes angels to be deprived of rational freedom and consciousness; certainly Bishop Ignatius did not believe this. In my own reading of Bishop Ignatius’ “Homily on Death” I did not find such a teaching. I have not read his “Supplement” to this work, but I am sure that there also there will not be found the whole emphasis and consequences of the teaching which Bishop Theophan accuses. Without entering into the full details of the disagreement between them (which might be a major study in itself and would have, I think, no particular value for Orthodox theology or the Orthodox teaching on life after death), I suspect that the error on Bishop Ignatius’ part was not in holding the precise teaching which Bishop Theophan criticizes, but (perhaps) in overemphasizing the bodily side of the angelic nature and activity (rather easy to do in combatting the overly “spiritual” emphasis of Western teachers to the extent that he may sometimes have seemed to be saying that angels (and souls) are bodies rather than (as I think he actually meant to say) that angels and souls have (ethereal) bodies, or that a bodily aspect is part of their nature. As Bishop Theophan has said, there would be no argument between them if such was indeed his teaching, for he regards this (for example, in Soul and Angel, p. 139) as a permissible opinion on this complex question which has not been dogmatically defined by the Church. All the more, then, if Bishop Theophan was even slightly mistaken as to the emphasis of Bishop Ignatius’ teaching, should this disagreement be regarded as “minor,” in my opinion. 3. Bishop Theophan was once specifically asked whether in the teaching of Bishop Ignatius he had found any other error, apart from the supposed teaching of the “materiality” of the soul. He replied: “No. In Bishop Ignatius there is only this error—his opinion on the nature of the soul and angels, that they are material. In all that I have read in his books, I have noticed nothing un-Ortho- dox. What I have read is good” (Letter of Dec. 15, 1893, in The Russian Monk, Pochaev Monastery, No, 17, Sept., 1912). Thus, in the context of the whole Orthodoxy teaching of Bishops Ignatius and Theophan, this disagreement is truly a “minor” one. 1. I also can recall only these two direct references in the writings of Bishop Theophan to the teaching of the toll-houses. However, these two references are sufficient to show that he did indeed hold this teaching and taught it to others, and that he was quite critical, even scornful, of those who denied it (“No matter how absurd the idea of the toll-houses may seem to our wise men,” they will not escape passing through them”). 2. The fact that in some of his letters when the subject of life after death is touched on, he does not mention the toll-houses, does not seem to me a necessary indication that this subject is “peripheral” to his teaching, but only that he speaks in each case to the need of his listener, and some people do not need (or are unable) to hear of the toll-houses. I have found this same thing in my own experience as a priest: With those who are ready for it, the teaching of the toll-houses is a powerful incentive to repentance and a life lived in the fear of God; but there are those for whom the teaching would be so frightening that I would not even speak of it to them until they were better prepared to accept it. A priest sometimes encounters dying people so little prepared for the other world that it would be pointless to speak to them even of hell, let alone the toll-houses, for fear of removing in them the little hope and awareness they might have of the Kingdom of Heaven; but this does not mean that hell has no part in the teaching of such a priest, or that he would not defend its reality decisively if it were attacked. 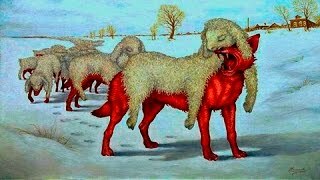 Especially in our “enlightened” 20th century, many Orthodox Christians are so immature spiritually, or have been so misled by modern ideas, that they are simply incapable of accepting the idea of encounters with demons after death. Any Orthodox priest in his pastoral approach to such people must, of course, condescend to their weakness and give them the “baby food” they require until they are more prepared to accept the strong food of some of the Orthodox ascetical texts; but the Orthodox teaching on the toll-houses, handed down from the early Christian centuries, remains always the same and cannot be denied no matter how many people are incapable of understanding it. “The soul, after its departure from the body, enters into the realm of spirits where both it and the spirits are active in the same forms as are visible on earth among men: they see each other, they speak, travel, argue, act. The difference is only that there the realm is an ethereal one of subtle matter, and in them therefore everything is subtly material and ethereal. What is the direct conclusion from this? That in the world of spirits the outward form of being and of mutual relations is the same as among men on earth. But this fact does not speak of the bodiliness of the nature of angels, or say that their essence is only body” (Soul and Angel, pp. 88-89). 6. 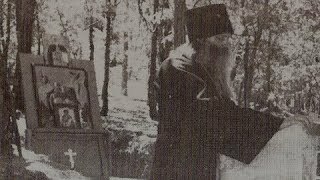 You do not disagree with me on the main point: that Bishop Theophan, like Bishop Ignatius, did hold the Orthodox teaching of the toll-houses; your only disagreement with me is on the emphasis the two teachers placed on it (Bishop Ignatius spoke of it more, Bishop Theophan less). I think there is a very simple explanation for this seeming difference of emphasis: It was Bishop Ignatius who felt it necessary to write a whole treatise on the subject of life after death, where the subject of the toll-houses, being an important part of the Orthodox teaching, of necessity occupies a conspicuous place; while Bishop Theophan, not having written such a treatise, mentions this subject only in passing. I would imagine (without looking through all his works to verify it) that in his other writings Bishop Ignatius mentions the toll-houses no more often than Bishop Theophan. The few references in Bishop Theophans writings, however, do indicated that he held the teaching as firmly as Bishop Ignatius. 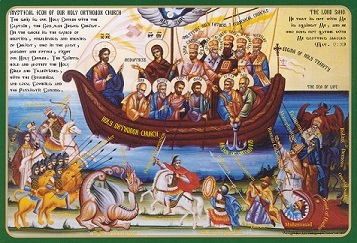 The difference between them, then, I would say, is not in what they believed or even in the force with which they expressed their belief, but in the point I mentioned at the beginning of this letter: that Bishop Ignatius was more concerned than Bishop Theophan to do close battle with the rationalistic views of the West, while Bishop Theophan handed down the Orthodox tradition with less attention to fighting specific Western errors regarding it. In view of all this, I believe that my statement in the preface of The Soul After Death, that Bishop Theophan “taught the same teaching” as Bishop Ignatius, is justified: in view of the whole Orthodox teaching on life after death which they had in common, the difference between them on the one point of the “bodiliness” of the nature of the soul and angels (a difference caused, I believe, more by the apparent overemphasis of Bishop Ignatius on the “bodies” of angels than by his actually holding the teaching ascribed to him by Bishop Theophan)—is indeed “minor.” With regard to the points of the teaching on life after death set forth in The Soul After Death (since I did not defend or even mention Bishop Ignatius’ supposed teaching that souls and angels are only bodies), their points of agreement are close to complete. The agreement of their teaching on life after death is all the more striking when one compares it with the views of the rationalistic critics of the West who, even up to our day, deny not only the reality of the toll-houses but also the whole after-death reality which Bishops Theophan and Ignatius described in virtually identical terms, the efficacy of prayers for the dead, and so forth. Against such false views the united witness of Bishops Theophan and Ignatius to the Orthodox teaching handed down from antiquity is indeed impressive. I should be very interested in hearing further of your research on Bishop Theophan, for whom, as I have said, I have the greatest respect. Will you be publishing an article or book on him, or any translations of his works? 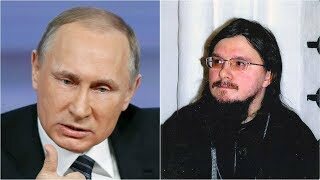 I myself have translated the first part of The Path to Salvation, which is now appearing serially in the newspaper Orthodox America. P.s. I do not know how “open” your letter to me was, or to whom it was sent. I am sending copies of my reply only to a few people who are closely interested in this subject.